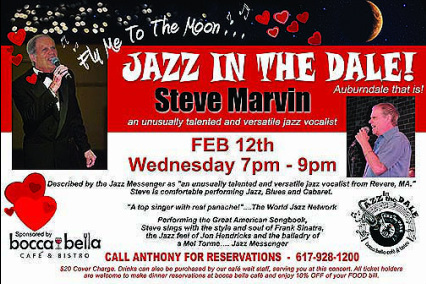 Steve Marvin singing songs from Frank Sinatra's Playbook like: "Fly Me To The Moom" and "I did it My Way" and much much more. Mark Carlson strumming on Bass and Jack Senier playing on the Piano. It was a wonderful night, with sing along and many couples dancing to the tunes.